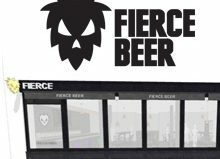 Beer Matters, the new trade show and conference for the business of brewing takes place in Edinburgh next week and organisers are in the final stages of preparing for a full day of networking, discussion and debate. 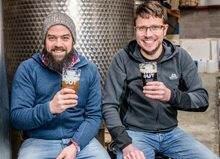 With the trade show now sold out to 30 exhibitors and over 130 delegates expected to attend, the business of brewing will be the hot topic of the day as the fast growing craft beer sector continues to experience its biggest boom in over a century. 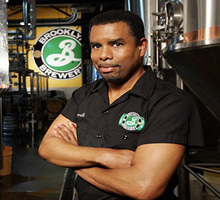 Keynote speaker, Garrett Oliver, brewmaster from New York’s Brooklyn Brewery, will be speaking about the growth of the US craft beer market and talking about trends in taste and new brewing techniques. 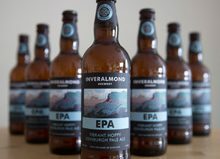 Leading figures from the Scottish brewing industry will also address the delegates including Dougal Sharp of Innis and Gunn who will be offering his insights into the world of crowd-funding. 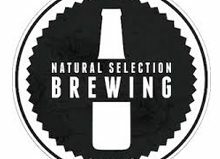 In the afternoon, a panel debate featuring Scott Williams of Williams Bros. Brewing Co, Dr Bill Simpson of Cara Technology and Shannon Macfarlane of Tempest Brewing Co will discuss key issues affecting the sector. 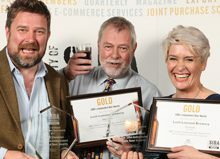 Hilary Jones, the chair of the Scottish Beer Awards, will host the event alongside Scottish comedian and beer geek, Hardeep Singh Kohli. 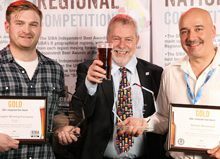 In an arrangement with SIBA, members are offered a 10% discount on the price of the delegate place (£45) while students of the Heriot Watt Brewing and Distilling courses are welcome to attend for free. Only guests registered to attend in advance will be permitted entry on the day. 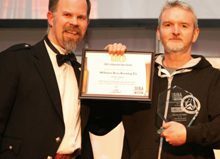 Hilary Jones, Chair, Scottish Beer Awards. Four ways Craft Brewers can gain QA wins How can craft brewers grow while maintaining quality?